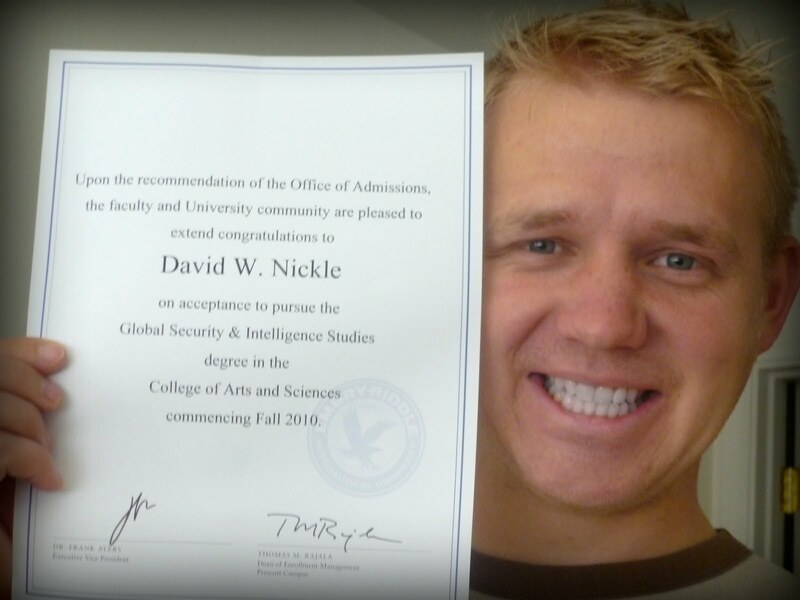 David got accepted to Embry Riddle Aeronautical University! He will pursue a degree in Global Security & Intelligence Studies. I know right? Talk about popularity. He is fancy. I won't lie, it's totally expensive to attend. But we will find a way! David just let me know that we aren't allowed to get private loans anymore because ALL loans are now government loans. Awesome. Makes me so happy. But then again, maybe it hasn't gone into effect yet. Can I borrow some of your money? I don't pay interest, or late fees. But I will pay you back. Eventually. Like in 10 years when we are rich and famous. Are you excited I'm posting pictures? It's a big day! I'm actually doing it RIGHT after this moment happened. 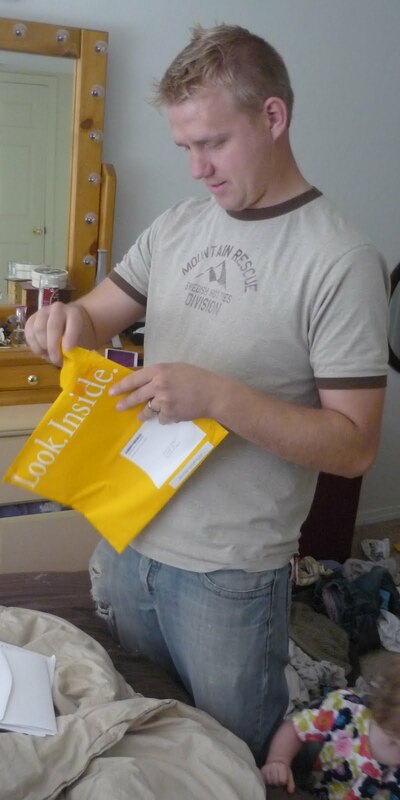 He went and got the mail, brought it home, we opened it and now here are the pictures. It really happens like that. Well, I wish it did. See, that's the thing, why can't pictures just automatically update and write for themselves? Yup. 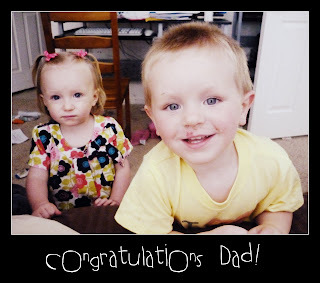 Are you judging me because I am so cheesy on this blog? I usually hate people who are so braggy and disgusting. But I think I am allowed because it's for my hubby loveness. Go him!! So proud. So proud. That is SWEET! Way to go David. Hooray that he won't have to work at the trash company his whole life. Umm does that mean your not going to move to Eugene? if it does then I am NOT happy for you! I don't care if you are braggy. I LOVE this update!!!! I am SOSOSOSO happy for you guys. Love love love you all! I love your braggy post. Totally allowed for this! Congrats david!